FRANKLIN, TN — The Tennessee Fire Chiefs Association (TFCA) in partnership with the International Association of Fire Chiefs (IAFC) today formally kicked off the statewide “What Fuels Your Fire?” volunteer firefighter recruitment campaign. The campaign is part of the Volunteer Workforce Solutions program designed to help Tennessee’s fire departments achieve a viable and sustainable volunteer firefighter workforce. 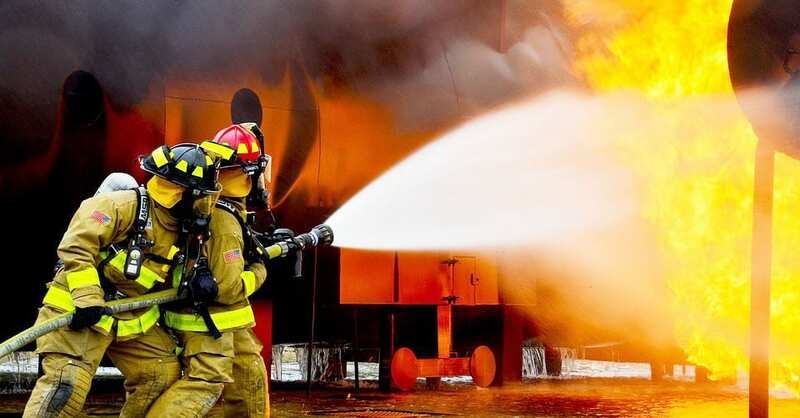 Nineteen (19) Tennessee fire department groups, consisting of 64 fire departments from across the state, are participating in the 2-year program, designed to address the shortage of volunteer firefighters in Tennessee. The fire departments will use geographic information systems (GIS) to take in-depth looks at their communities, measuring demographic, cultural and economic data to predict the best way to recruit a volunteer firefighter workforce. The results and findings from the program and the recruitment efforts will benefit all fire departments in the state. In addition, several leadership workshops aimed at improving retention will be offered to all departments statewide. The number one issue facing volunteer fire departments today is the ability to maintain adequate staffing levels. Eighty percent of all fire personnel in Tennessee are volunteer firefighters and the majority of departments are experiencing a shortage of volunteers. Being a volunteer is a rewarding experience and one of the best ways someone can make a difference in the community. The skills and experience gained as a volunteer firefighter are invaluable and have a positive and lasting impact on the lives of others. Local fire departments need volunteers of all skill levels and abilities who are willing and able to respond to emergencies when needed. Local events will occur with the 19 selected organizations statewide that will involve the community and provide opportunities for all stakeholders to be engaged in the process. Volunteer Workforce Solutions is funded by a federal SAFER grant (Staffing for Adequate Fire and Emergency Response) awarded to the TFCA by the U.S. Department of Homeland Security’s Federal Emergency Management Agency (FEMA) to develop a model to enhance the recruitment and retention of volunteer firefighters. To learn more about becoming a volunteer firefighter and joining a local volunteer fire department, please visit www.VolunteerFireTN.org or call 1-844-VOL-TENN (1-844-865-8366). The TFCA provides leadership to career and volunteer Fire Chiefs, Chief Fire Officers and managers of emergency service organizations throughout the State of Tennessee through vision, information, education, service and representation to enhance their knowledge, skills, and abilities. The TN Fire Chiefs Association (TFCA) also encourages the professional advancement of the fire service to ensure and maintain greater protection of life and property from fire and natural or man-made disasters. The TFCA’s mission is to provide leadership to career and volunteer chiefs, chief fire officers, and managers of Emergency Service Organizations throughout the State of Tennessee through vision, information, education, service and representation to enhance their professionalism and capabilities.More information about the TFCA is located at www.tnfirechiefs.com . The IAFC represents the leadership of firefighters and emergency responders worldwide. IAFC members are the world’s leading experts in firefighting, EMS, terrorism response, hazmat spills, natural disasters, search and rescue, and public-safety legislation. Since 1873, the IAFC has provided a forum for its members to exchange ideas, develop professionally and uncover the latest products and services available to first responders. Learn more at www.iafc.org.